Today, I woke up at 8, took a quick shower and went to see our 3 young friends. They were still alive after having slept in the students’ dormitories. At 9:30 we went to the official speeches for the launching of the ACM Programming Contest event. IIT Kanpur has a 95% Unix and Linux-based computing facilities. 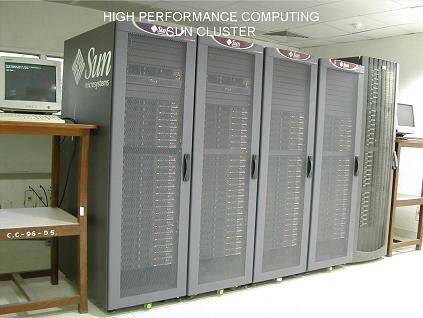 By the way, the picture shows a 400-node Sun and HP Linux-based cluster used by researchers throughout IIT. Avinash expect this of course. Perhaps shall be more interesting. What do you think avinash.